For many January starts the count down to tax day. If April 15th always sneaks up on you, you can probably use all the tips you can get when it comes to doing your taxes, even more so if you own your own business. Did you know there is a plethora of extra deductions that you can use if you work from home or have a home-based business? Home-based businesses seem to be the new trend, and if you have switched to working from home, you may be entitled to certain tax deductions. Whether you telecommute, work as a freelancer, or own a business that you run from your home, you have a cost to running your business, and the IRS recognizes many of these costs. 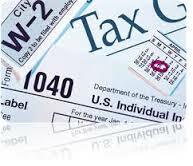 Before preparing and filing your tax return you will want to take a close look at possible deductions to find out which ones apply to you. From your water bill, to your home repair to even your mortgage payment ALL of these expenses matter when you work out of your home. The one deduction we want to bring your attention to is for your home security system. Yes that is correct: If you qualify for the home office deduction, this expense is considered an indirect expense to your home office. Furthermore a percentage of the expense can be deducted. You can deduct a percentage of the initial installation as well as a percentage of the monthly security monitoring fees that are incurred. Pretty interesting, right? For more info on home security systems, contact us at 812-284-3200.